Sunny day checklist: sunscreen, water, towel, sunglasses.......sunhat! 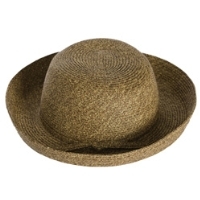 This soft raffia straw sun hat is great for several reasons - sun protection, fashionable, lightweight, packable. See our style #1349 in bright colors.